A year ago, we began the Quran Club, a project among 20 friends to encourage one another to read Quran Daily. The idea was simple: we send half a page of Quran every day along with the audio via facebook, twitter, email & whatsapp. That person then reads it in their own time. The idea quickly caught on and 20 people became 10,000 and counting spread across the world. From Brazil to China, Malaysia to Nigeria, 1000s are now reading the Quran every day. Together, the amount we are reading is equivalent of completing approximately *9 QURANS* every single day! That means every person who is a part of it gets a share of that reward. But what’s more extraordinary is how much of the Quran we have individually completed. By reading to just 1/2 a page every day (which takes literally 90 seconds every day), we have completed almost 1/3 of the entire Quran within a year. Considering many of these people read NO quran at all, that’s quite a jump! Simply go to our facebook page and follow the instructions. Finally, a massive thank you to all the volunteers. All have asked to remain anonymous (some of whom I’ve never even met!). 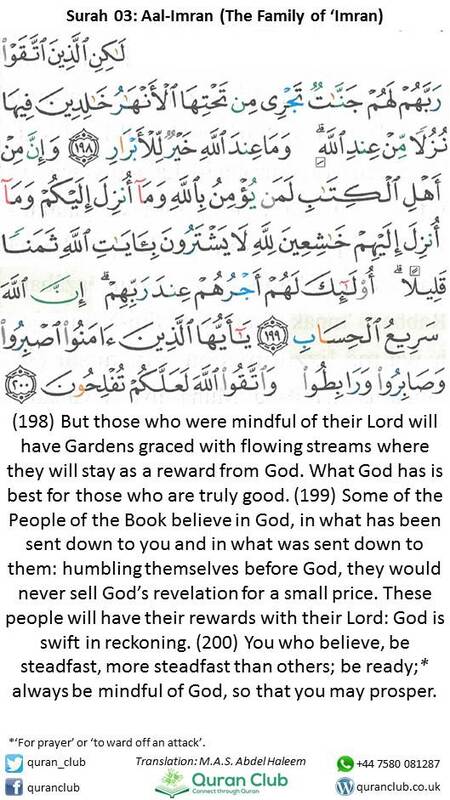 You are the real winners with all that reward on your scales masha’Allah. Our 1st Quran Club Khatam!